In order to meet the mobile companies’ payment solution needs, we offer innovative and fast mobile cash systems to our customers. 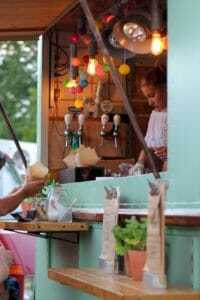 You can receive card payments and offer other payment options regardless of whether you work in a food truck, in different marketplaces or other mobile activities. Our mobile cash registers are user-friendly regardless of whether you are used to a cash register or a beginner. It should be easy to make changes and produce reports for analysis even in a mobile business and we have succeeded in this in our mobile cash solutions. Our solution is a good alternative to smaller companies that need a solution that approves most debit cards and credit cards and also supports the new digital payment options such as Samsung Pay, Swish and Apple Pay. Installing our solutions is easy and you can quickly get started with your sales. How does mobile payment system work? The only thing that is required for you to install and start charging your customers with our mobile cash register system is 3G and an electrical connector. It can’t be easier than that!